Tankless water heaters? Ever since I heard about them I was perplexed how a water heater could function without a tank. I am one of the few that doesn’t like to give up on a shower or even like to be held back because there isn’t sufficient availability of hot water. I was certainly curious to understand how the tankless water heater would function and furthermore had to understand what tankless water heaters were. My curiosity led me towards many stores looking for a tankless water heater. I was surprised to understand these appliances were the norm in Europe and Japan for quite some time but for reasons unknown hadn’t gained popularity in the United States. It was only recently and perhaps because of the environment-friendly concerns that tankless water heaters were becoming popular. I was even happier to understand I could save a substantial sum of money every year on my monthly utility bills even as I conserved on natural gas. Tankless water heaters were capable of lasting for approximately 5 to 10 years more than a traditional water heater with a tank. Best of all, it didn’t require a lot of space for installing while it provided a continuous stream of hot water whenever I needed it. The advantages definitely made me wonder whether I should be switching over to a tankless water heater despite having a traditional tank heating system installed? There were a number of things I had to learn before I ultimately decided whether to have a tankless water heater or to continue with the traditional water heater already installed in my place. Let me explain to you what I decided after careful thought. What Did I Learn About Tankless Water Heaters? 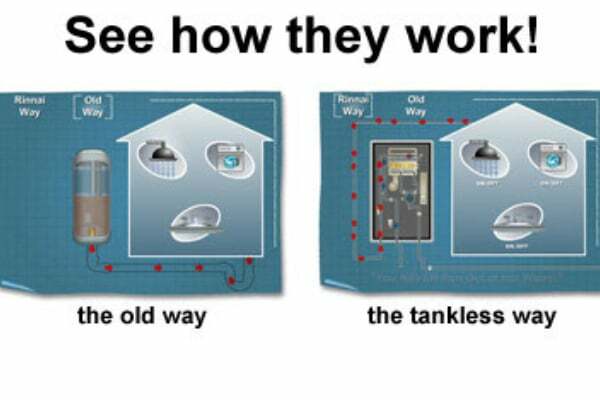 The working of a tankless water heater is different from traditional water heaters. Traditional water heaters have a large tank to hold in heat water. The water is heated continually in order to maintain a constant temperature and provided whenever it is needed. Traditional water heaters keep the water hot even when it is not being used leading to standby heat loss. On the contrary tankless water heaters can avoid standby heat loss by simply heating the incoming water whenever it is needed. It is for this reason that tankless water heaters are referred to as “OnDemand” water heaters. The elimination of standby heat loss ensures that a tankless system is more efficient. In order to provide piping hot water whenever it is needed the tankless water heater makes use of a powerful heat exchanger for increasing the temperature. The heat exchanger is a device which can transfer heat from one source to another. Heat exchangers are popularly used in refrigerators, air conditioners as well as car radiators. In tankless water heaters, the exchanger transfers the heat generated by electric coils or alternatively a gas-fired burner to the water which comes out of the faucet. The incoming flow of water activates the exchanger. Therefore the moment the tap is turned on the water circulates through the activated exchanger which at the same time heats the water to the temperature which may have been preset. This means if you are prepared for the shower with some soap and shampoo you’ll be ready to wash for as long as you want. What Kind Of Tankless Water Heater Is Suitable For Anyone? 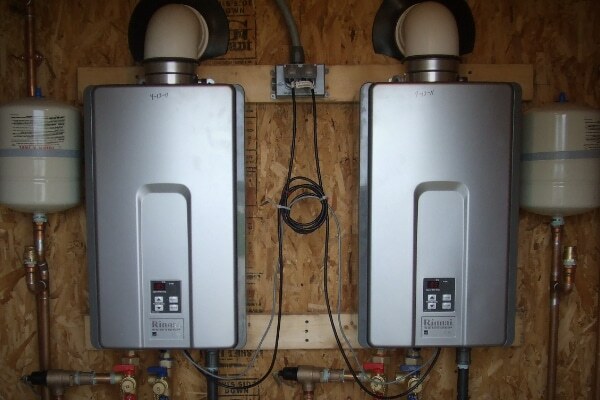 There are two varieties of tankless water heaters available. The first one is the point of use heater and the other is the whole house heater. Point of use heaters are tiny and can only provide hot water to one or two outlets such as the kitchen sink. They can even be installed in a kitchen cabinet or in a closet. Whole house systems are different as they are larger and can operate in multiple outlets at the same time. 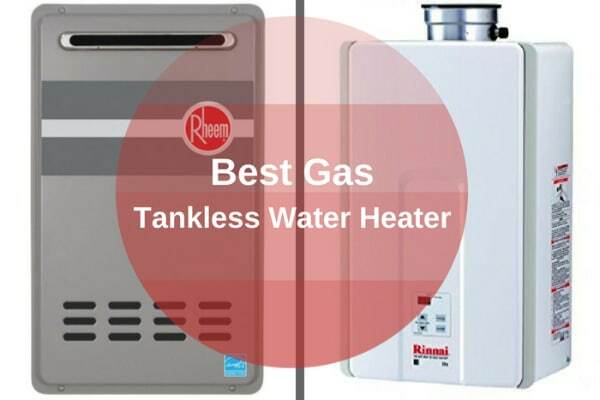 When choosing tank less water heaters there is a choice of electric, natural gas and propane models. Whole house systems are usually powered by natural gas or propane while the tinier point of use models use electric. In order to make an informed decision when purchasing a tankless water heater, I suggest that you follow the recommendations given below. The flow rate or the quantity of water you want to be heated on a single occasion. The temperature rise of the difference between the groundwater temperature and the desired output. Flow limits have been set by the Federal energy policy act 1992 at 2.2 gallons per minute at 60 pounds per square inch for water fixtures in households. Manufacturers of tankless systems are usually sizing their units based on the temperature rise desired for a particular flow rate. This means that people desiring a tankless water heater in their place will be required to calculate the flow rate and add up the gallons per minute for the household water fixtures which they could be using at a single time. A federal tax rebate is available on most tankless water heaters. They last approximately 5 to 10 years longer than traditional tank heaters. Hot water is always available from them. They are efficient as standby loss is eliminated. They do not require plenty of space to be installed and can even be accommodated on walls or outdoors with an anti-freeze kit. At any given time they simply need enough power for heating the water necessary. Approximately 20% of water heating bills can be saved. Electric tankless water heaters are environmentally friendly. Most tankless water heaters can be operated by remote control and have four separate settings available. The possibility of flooding because of a ruptured tank does not exist. Tankless water heaters are three times more expensive than a traditional tank water heater. To supply the tankless water heater with sufficient fuel the need to add a larger natural gas line will become necessary. Expensive stainless steel tubing will be required by venting gas and propane units. Additional circuits may be required by electric tankless systems. Additional expenses for servicing the gas units annually will also be needed. The amount of energy required by electric models is higher. For activating the heat exchanger tankless water heaters need a minimum flow rate of 0.5 gallons per minute. Lag time may need the household to run the water for a longer time resulting in water wastage. 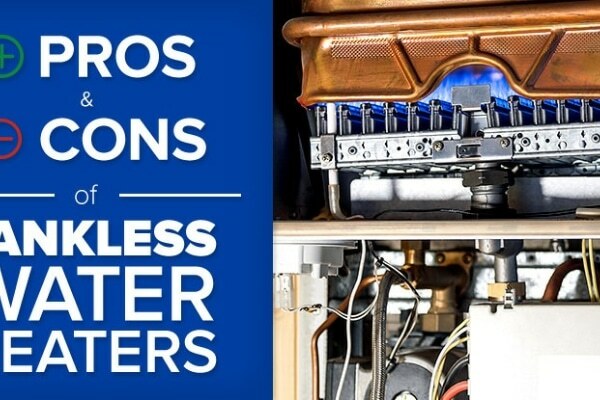 The following factors should also be considered before deciding on any tankless water heater. On every home energy budget, water heating takes away approximately 20% of the expenditure. An electric whole house model can cost approximately $500-$700. A whole house gas model can cost approximately $1000-$2000. Despite natural gas being affordable presently it is expected to surpass electricity in the future. I was impressed with tankless water heaters for the benefits they offered. I even decided to have a whole house gas model for my place but eventually held back as I did not want to make a large investment. The choice was definitely difficult but I also had to care for myself without only thinking about my showers. Maybe sometime soon when I have the finances ready I will purchase the gas model I have chosen for my place.